In both new and older homes, the best way to ensure that you are well informed about the strengths and weaknesses of a property is to have us perform a professional home inspection for you. We are trained to identify problem areas both small and large that may have been overlooked by the previous owners, and to identify which require immediate attention. The end result is that you save more money. 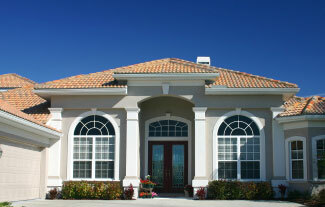 Most contracts allow negotiations with the seller to make repairs or give you credit at closing. So the more defects our inspector finds, the more money you save. See our Inspection/Report Overview for more details. Whether you are selling your home on your own or using a Realtor, it’s always a prudent idea to have a professional home inspection. Knowledge is power. All homes have strengths and weaknesses; we help you answer how serious the problems are, and which must be immediately addressed and which can wait. The more you know about your home, the more prepared you will be for negotiation. See our Inspection/Report Overview for more details. Includes an over 200-page home manual /reference book on USB. Getting a home inspection completed before the home is put on the market reduces the number of “surprises” for both the seller and buyer, which decreases the likelihood of the deal falling apart. 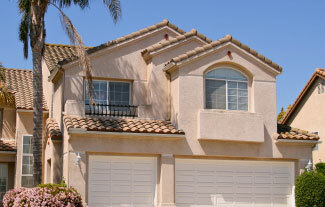 The home may attract more buyers if repairs are done prior to listing. Gives potential buyers more peace-of-mind knowing a third-party inspection has already been completed on the property, reducing the buyer’s anxiety that any disclosures or information have been withheld. It gives you more time and options to get repairs completed, and you get to choose who does the repairs, which could save you thousands of dollars. Once you go into contract, you are required to use a licensed contractor on most repairs. The seller is in a stronger position for negotiations by having a pre-listing inspection performed as they can inform buyers of what they are willing (and not willing) to repair before they enter into contract. John Crampton has extensive experience in all phases of construction and has built homes from the ground up. He is uniquely experienced and qualified to perform warranty inspections, and always looks out for his client’s best interest. Why Get A Warranty Inspection? 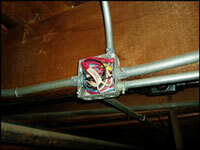 Disconnected HVAC ducting under the home (heating the crawl space instead of the home). Required safety glass window not installed at required locations. Damaged roof rafters supporting heavy concrete roof tiles. Concrete walkways not sloped to drain water away from the foundation. Several outlets incorrectly wired, and GFCI protection missing at required locations. Mobile/manufactured homes are built in a factory and transported to a property site. They are not the same as conventional “stick-built” homes and are regulated by a different agency, and have different building standards. While quality control is high at the factory where these homes are built, quality control is not consistent at the site where these homes are assembled. Different contractors hired to put these homes together are often doing several jobs at the same time and this can leave room for error. As you can see, it is very important to hire a certified mobile/manufactured home inspector that has been trained to inspect these unique homes. 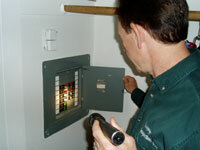 John Crampton is certified as a mobile/manufactured home inspector by the American Institute of Inspectors (AII). Foundation – Mobile/manufactured homes can employ a variety of foundation systems. Some rest on metal legs that over time can rust, shift, or become loose. Some manufactured homes are put on permanent foundations. There are a variety of hold-downs/anchoring for wind and earthquake protection. Water Lines – Water lines and connections in mobile homes are often not welded and leaks can result. Unlike site-built homes, mobile homes often use cross-linked polyethylene (PEX) and polybutylene plastic waterlines, and tub faucets and drains are often not standard. Plumbing Ventilation – Unlike site-built homes where pipes are all ventilated to the outside of the structure, manufactured homes commonly use something called an “air admittance valve” on a number of bath and kitchen fixtures. These can fail and allow sewer gas into the home. Transport – Mobile/manufactured homes are built at a factory and transported to a site where they are put in place. Some are single wide (one entire unit), double-wide (two halves delivered and put together on site), and even triple-wide. There can often be issues found where these pieces are joined together (“marriage line”). At the marriage line there are connections between structure, HVAC system, plumbing, and electrical. Newly constructed homes can have issues too. Some issues found in new construction homes include improper grading, disconnected sewer line, missing or improperly installed insulation, disconnected HVAC ducting, and broken roof trusses. 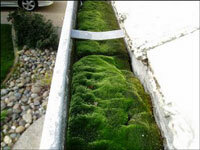 If issues are found, it is better to find them and have them repaired before moving in. Finding defects early can prevent resulting damage, such as roofing defects that cause water damage and missing insulation that results in costly utility bills. While a city/county building inspection looks for local code compliance, these codes are minimum standards, and a municipal inspector may spend a short time at the property. A home inspection from a certified home inspector is usually more thorough and often takes an average of three hours or more. Our reports are computerized, including color photos and summary page(s). We point out the positive aspects of a home, not just report on the negatives. John Crampton is always on time, in uniform, and friendly. We are bonded & insured; E&O and liability insurance with referral indemnity. We convey our inspection findings in a neutral, non-alarming manner. We answer our phones and always provide friendly service. You can call us to schedule or use our easy 24/7 online inspection scheduling.